The female athlete triad is a condition that generally affects athletes such as gymnasts, dancers, or athletes with weight classifications such as body builders (Figure 1). Eating disorders, amenorrhea, and osteoporosis affect certain groups of athletes, often occurring as symptoms to this syndrome. Eating disorders, amenorrhea (loss of menstrual cycle) and development of osteoporosis will all negatively affect the athletes energy. Each component of the female athlete triad can occur from mild to severe. Not all components need to be present, but if one component is found, the doctor should check for the others. Athletes try to restrict their diet in order to maintain lower body fat which causes an imbalance of energy. The restriction of the athlete's intake leads to negative energy balance (Figure 2). Eating disorders affect the brain's regulation of the ovaries (Figure 3). Problems that occur with the ovaries may cause an absence of a menstrual period. Amenorrhea occurs in about 50 percent of athletes such as runners and ballet dancers. 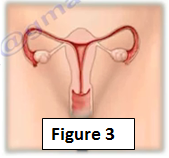 Amenorrhea has two forms: primary and secondary. Primary amenorrhea is when the menstruation cycles never starts. Secondary amenorrhea, occurs when there is either no menses for 6 months or an absence of 3 or more consecutive menstrual cycles. 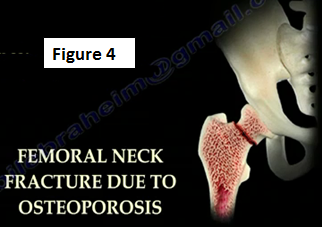 A loss of exposure of estrogen will lead to osteoporosis which leads to bone fragility and stress fractures (Figure 4). Approximately 90 percent of bone mineral content occurs by the end of adolescence. To overcome the effects of the female athlete triad, patients will need a team consisting of an athletic trainer, nutritionist, psychologist, and a physician. A female patient with a history of stress fractures should undergo a work-up. This includes obtaining a menstrual cycle history, nutritional consult, bone density and psychological consult for a possible eating disorders.